The folks at Save Muni Wireless declare interim victory: The people against a provision of the house bill which didn't make it into the senate version wanted to preserve the rights of cities and towns in Texas to determine whether or not municipal cable, telecom, and broadband was appropriate. Texas has a large number of counties with no broadband service or a single provider, and many of the smaller municipalities were concerned with the full ban. The initial bill would seemingly have required airport authorities run by municipalities to cancel Wi-Fi contracts with private companies based on a pretty conservative reading: meaning no Wi-Fi at DFW, Dallas Love, Austin, Bush Intercontinental, and others. That provision was watered down in later house drafts. The bill failed not because of the municipal part, but because, along with another bill, the senate and house couldn't agree on how to reconcile them. Included in the bills was a proposal to eliminate local cable franchise control, which the telcos wanted to allow them easier entry into the television market without having to negotiate local deals with each town, and deregulation elements that would free incumbents from a number of responsibilities while releasing them from tariffs. The buses from Albany, New York, to NYC, will have Wi-Fi: The state's capital will offer on-board Wi-Fi for these financial-to-political commuters. eWeek reports that WPA2 support under Windows XP SP2 lacks 802.1X supplicant upgrade: Microsoft's WPA2 support should probably have included the four mandatory supplicant secured EAP types required under Wi-Fi Alliance certification standards for WPA2. I say probably because the new secured EAP types were added after the WPA2 certification standard was initially set. What this means in practical terms is that you cannot use 802.1X with anything but EAP-TLS with Microsoft's native supplicant. You'll need third-party software. Microsoft's WPA2 update boils down to just WPA2-PSK (Preshared Key) support for networks that really don't need CCMP keys using AES if they're just going to all share the same key! Update: A colleague tells me that WPA2 support for Microsoft's flavor of PEAP is included with their native supplicant. Since that's now the dominant secured EAP flavor outside of installations in which companies particularly work hard to use another method or have all Cisco gear, that's really the most important piece. Brian Livingston has filed an exhaustive article about Windows and Wi-Fi security at Windows Secrets Newsletter: Brian interviewed me for the article, which was entertaining as we sorted out a lot of the issues about WEP and WPA, and his article is an incredibly clear set of the best advice I've seen on the topic. Every Windows user employing Wi-Fi needs to read his article and make sure you've done what he suggests. One of the conclusions I reached while being interviewed by Brian is that WEP truly is dead. There are WEP algorithms in updated firmware that eschew the weak initialization vectors that make it trivial for a cracker with free, simple software to extract a WEP key. But there's no way a consumer could possibly know whether a given device had strong or weak IVs. Further, a single network device with weak IVs makes a WEP-protected network vulnerable. So I have to agree with Brian: there's no reliable way for the average person to use WEP and not have vulnerability that can exploited in seconds to minutes. If you don't live near anyone else at all, WEP (or no security) may still be viable. Otherwise, WPA or WPA2, and WPA Enterprise or WPA2 Enterprise is even better. Some pushback in the fine city of Tempe in the blisteringly hot Southwest: The state agency responsible for registering contractors asserts that Tempe's private contractor doesn't have the right licenses to do what it's doing with stoplights and street lamps to build the citywide Wi-Fi network. Posted by Glenn Fleishman at 9:07 AM | Permanent Link | Categories: Who's Hot Today? 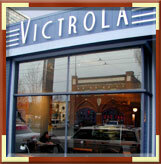 It's too early to say whether it's a trend, but Victrola Coffee & Art in Seattle shuts down its free Wi-Fi on Saturday and Sunday: I spoke to co-owner and co-founder Jen Strongin today after a colleague tipped me to the fact that this lovely, single-shop coffee establishment had decided to experiment with taking back its culture by turning off the Wi-Fi juice on weekends. Strongin said that the five-year-old cafe added free Wi-Fi when it seemed their customers wanted it a couple of years ago. It initially brought in more people, she said, but over the past year "we noticed a significant change in the environment of the cafe." Before Wi-Fi, "People talked to each other, strangers met each other," she said. Solitary activities might involve reading and writing, but it was part of the milieu. "Those people co-existed with people having conversations," said Strongin. But "over the past year it seems that nobody talks to each other any more," she said. On the weekends, 80 to 90 percent of tables and chairs are taken up by people using computers. Many laptop users occupy two or more seats by themselves, as well. Victrola isn't on the way to anywhere; it's in the middle of a vibrant stretch of shops and restaurants on Capitol Hill's 15th Ave. It's exactly the kind of place that you want to sit down in, not just breeze through. Worse than just the sheer number of laptop users, Strongin noted, is that many of these patrons will camp six to eight hours--and not buy anything. This seemed astounding to me, but she said that it was typical, not unusual. The staff doesn't want to have to enforce the cafe's unspoken policy of making a purchase to use the space (and the Wi-Fi), and on the occasions that they approach a non-buyer about a purchase asking, "Can I get you a beverage?" the squatter often becomes defensive, explains they've bought a lot in the past or just the day before. "It's just really really difficult. We've had so many heated debates about it. We want people to linger at the cafe. We're not a fast-food coffeeshop. We want people to feel comfortable staying here as long as they please," Strongin said. They've gone two weekends with no Wi-Fi, and so far, they're pleased with the results. The staff "loves it," she said, and regular customers are "coming up to us and thanking us." They have received a few nasty emails. But Strongin said that last Sunday was one of the best revenue days they've had on the weekends in a while. "It was kind of a bold move." Strongin says that Victrola isn't interested in charging for Wi-Fi as a tool to limit or moderate use, and still thinks that free Wi-Fi is a great amenity that they can offer their customers at the right time. They have no plans to remove it entirely. But, she said, "I don't like going into a cafe, any cafe, including my own, and just seeing a sea of laptops and people not interacting." Update: Tonx, Victrola's roaster, posted his own insider take on the matter. He notes, "A few customers were in painful enough withdrawal that they stayed home, finding time to send email about how upsetting it was. But the overwhelming response was positive." Four Canadian cell operators have been making Wi-Fi noises for years: A while ago, they announced a major agreement to interconnect their networks. Only trouble was, they didn't really have any hotspot action going at that point. Now, between them, they have a whopping 500 locations nationwide, with 500 more planned in the indeterminate future. Meanwhile, smaller and fleeter companies have been eating their lunch by partnering with other networks worldwide. FatPort, a company I have followed for years already, has 300 locations in Canada and at least 3,700 other roaming locations worldwide available at no additional fee to their subscribers. Most recently, they signed a deal with NetNearU. Moscow, Russia: The city will be full of Wi-Fi soon--that is, by 2007, according to this Moscow Times article. A local operator is looking into lighting up the subway system. There's also interest in WiMax, although this article suggests that a few base stations could cover Moscow, ignoring the fixed nature of the current generation of WiMax receivers and the maximum bandwidth that a given base station can offer. West Sacramento, Calif.: A free Wi-Fi zone was installed to boost business. They hope that businesspeople will stay in the zone to check email during lunch instead of venturing to establishments farther away. Does anyone just eat lunch and think private thoughts any more? Posted by Glenn Fleishman at 9:32 AM | Permanent Link | Categories: Who's Hot Today? Nokia has introduced a non-cell phone that uses Wi-Fi for connectivity: It's sort of a PDA, it's sort of a tablet, it's sort of a new category. It has a touch-sensitive screen. Its initial version doesn't support voice, oddly enough, but it's designed to be a kind of laptop replacement--with limited software. So they've introduced an Internet browser for $350 that's not a general-purpose machine. It probably also requires new software development for companies that want to create add-on software--if that's even an option. Appliances, unless they meet an incredibly important form-factor niche, don't succeed. Contradict me in the comments below. Update: Read the comments--this device is a general-purpose computer being marketed in a very limited way. Oh, and I'm apparently an idiot. Superb patent article in Mobile Pipeline: Attempts by Australia, Symbol, and Acacia to enforce patents that they believe are used by a number of companies large and small may harm the wireless industry. Wired ran a short interview with Forgent's CEO, the folks who dug up what they claimed was a patent covering parts of JPEG, a previously zero-royalty technology. The end of the interview is classic. I confess that I have been reluctant to run patent stories with any great frequency here at Wi-Fi Networking News because often the claims on both sides are inflated and highly technical. Patents don't make sense to ordinary mortals: they use specialized language that you have to be fluent in to understand what's even being said. With a MAC from Intel and a PHY from Alereon, 480 Mbps UWB is shown: The two companies have collaborated on this demonstration, showing high-speed ultrawideband. The MAC (Media Access Controller) is the network side; the PHY (for physical layer), the radio side. Even more interesting, Alereon's side of the equation used a PC Card form factor module. They've had evaluation gear out for testing UWB for months, and they're continuing to push forward. This doesn't mean that Alereon is ahead of (or behind) other UWB firms because those other firms may be choosing to work with fewer partners or not demonstrate as publicly. We'll see what shakes out by Christmas. Om Malik had a brief interview with the CEO of Alereon in which that executive notes that the key utility is cable replacement not streaming video, which is an interesting take, but makes sense within the context of the Wireless USB Conference. The Wireless USB 1.0 specification was approved at the conference today, according to Om. Sprint PCS had already equipped the George Bush Intercontinental: Now Houston's Hobby Airport also gains Wi-Fi. Camera with Wi-Fi support delayed til October: The EasyShare One has Wi-Fi built in and was promised for June. Instead, it will ship in October, still in time for Christmas. The encryption part of EasyShare One's Wi-Fi module wasn't slated to ship until October originally; this portion was necessary for WEP and WPA as well as 802.1X, which was needed to use the service over T-Mobile HotSpot locations as part of a promotion. The EasyShare One can transfer photos over Wi-Fi, but it can also browser galleries stored on Kodak's online photo-printing service, clunkily renamed from Ofoto to Kodak EasyShare Gallery--a name only a navel-gazing marketer could love. Grand Rapids, Michigan: The city of many bridges launches its wireless network test today involving 10 companies each running a live demonstration network across part of the city. Danville, Penn. : The downtown Wi-Fi zone was launched during the Spring Fling starting May 7. The service is paid, but merchants can use free connections as a spiff. Posted by Glenn Fleishman at 9:18 AM | Permanent Link | Categories: Who's Hot Today? The city of Brandon considers village-wide Wi-Fi: The town will erect antennas, it sounds like (although that's not entirely clear), while a private company with fiber running through Brandon will operate as the city's wholesaler for ISPs. TelJet has its own fiber across 18 Vermont towns, which is a very interesting position to be in: they expect to erect or have antennas erected for Wi-Fi-based service to the home elsewhere in the state, too. South Bend, Indiana: Downtown South Bend has Wi-Fi in a free pilot service. The County library cooperated with the city, a non-profit, and a private company. The newspaper article unfortunately spreads a mistaken idea of what's secure via Wi-Fi by suggesting: "Users may want to add protection software to their computers if they plan to use the service for purchases, online banking or other sensitive transactions." In fact, those kinds of transactions are perfectly safe if done via SSL to reputable firms or banks. The advice should have explained how to check whether SSL was in use, which, although more technical, would have been more accurate for those specific transactions. I would have said, "Don't check email except through a secure Webmail page" myself. Today's round-up of metropolitan and hotzone Wi-Fi. Seattle, Wash.: Coverage of the hotzone launches in two Seattle business districts appears in The Seattle Times and The Seattle Post-Intelligencer. The Times article notes that city councilman Jim Compton's task force is easing towards muni fiber instead of muni Wi-Fi. It's unclear how the plan will shape up: leasing fiber on a wholesale basis to ISPs? A quote from a businessperson in one of the hotzones is classic: he doesn't want to have to kick out non-customers or lingering customers. But he doesn't already get laptop toters in his shop? He won't just because there's Wi-Fi. And cellular data will make lingering everywhere a problem. Richfield, Minn.: The city of Richfield wants to hitch its wagon on nearby Minneapolis's plan to franchise a private firm to build out a city-wide fiber and Wi-Fi network with no municipal dollars at risk. There's a lack of basic accounting in the article, unfortunately, when talking about Chaska, Minn.'s network: "Chaska spent $763,000 on its system and took in $768,000 from subscribers, Devich said." You don't look at profitability of public or private businesses in this fashion. You have to look at non-cash expenses, depreciation and amortization, and so forth. You can't distill it into numbers that are quite that flat. Outer Banks, North Carolina: A wireless ISP claims 15 square miles of coverage using Vivato equipment over the oceanfront community of Duck and surrounding areas. Posted by Glenn Fleishman at 10:12 AM | Permanent Link | Categories: Who's Hot Today? An Australian government research body is planning to enforce a patent that may cover 802.11: This article is quite short on details, but it sounds like Australia's Commonwealth Scientific and Industrial Research Organization filed a patent in 1996 that it says is employed in some IEEE standards, potentially including 802.11. The group said that Microsoft, Dell, HP, Intel, Apple, and Netgear have initiated legal action in an attempt to overturn the patent. The organization says it intends to fight the action. This isn't the first time a company or organization has tried to pursue companies in the 802.11 space for patent infringement. Last year a patent buying firm called Acacia began sending letters to access point makers that use redirect technologies, saying those firms owed royalties for a patent Acacia owns on redirect technologies. It's unclear how vigorously Acacia followed up on its pursuits, but the move caused an uproar in the industry. I'm curious why the Australian organization is deciding to pursue this patent at this stage in the market. While companies must be able to reap the rewards of their own research and development, there also must be consideration for the positive affects that low cost products can have on a market. While I don't know the terms this organization is setting, I'm guessing they aren't reasonable, otherwise these large companies wouldn't be banding together to fight the initiative. My home town launches a free Wi-Fi pilot in today's who's hot round-up. Seattle, Wash.: The city turned on free Wi-Fi access in the business districts of Columbia City and the University District, both areas that could use a bit of a boost. In the next month, four city parks will get free Wi-Fi, too: Occidental, Freeway, Westlake, and Victor Steinbrueck. Posted by Glenn Fleishman at 4:03 PM | Permanent Link | Categories: Who's Hot Today? Broadband Properties should be commended for presenting a spectrum of municipal broadband viewpoints: Their latest issue is a gold mine of excellent essays by folks on either side, straddling the fence, or outside of the fray of municipal cable, telecom, and broadband services. The daily round-up of who's unwired their city or zones within today. L.A.'s Pershing Square gets free Wi-Fi: It's a long list of parties involved, but local L.A. governmental groups, including parks and redevelopment, hired Verge Wireless (part of US Wireless Online) to put Wi-Fi into Pershing Square, a park that dates back to at least 1866. Posted by Glenn Fleishman at 6:53 AM | Permanent Link | Categories: Who's Hot Today? The in-flight broadband service will deliver four live streaming channels: In a briefing today, Connexion said that the service will launch this summer on Singapore Airlines where the Boeing division could deploy offerings and test response. The service will feature four channels, with three devoted to news and one to sports. The service will deliver streaming video, requiring a laptop or handheld with appropriate Windows Media Player software installed, and will only be available to those paying for a broadband connection during a flight. No a la carte streaming-only service is planned for the introduction. Boeing charges from $7.95 for 30 minutes of pay-as-you go service on shorter flights up to $29.95 for unlimited usage during a flight of more than six hours. Programming will feature content from EuroNews, EuroSportnews, BBC World Service, CNBC, and MSNBC, and will be in English initially. Certain classes on many Singapore Airlines planes have power outlets. However, the airline has a very odd policy that requires batteries to be removed before using in-flight power and forbids charging batteries. The two companies don't want to have to seek approval from thousands of municipalities to offer television services: I mention this story only because of the beautiful symmetrical irony. SBC and Verizon want to offer television services--and, frankly, they will provide competition that will drop the price of service in urban areas. But their competitors and opponents believe that a switch by municipal franchises to a state-wide one allows the two telcos to cherrypick service areas. So the irony here is that the companies want to be freed from the onerous process of working with each franchising power in thousands of cases across the state. But they're perfectly happy to have each municipality required to petition them for permission to offer broadband or other services--perhaps not in Texas, but in other states in which the bills require a municipality to ask permission from an incumbent telco and wait a period for a response. I suppose one way that municipalities can fight those sorts of laws is by banding together so that thousands of municipalities file their detailed proposals for broadband simultaneously as a sort of protest at their local self-determination being removed by the state. Meanwhile in the state of Texas, the senate version of the telecom regulation bill has no language restricting municipal networks. Microsoft made its formal announcement about adding WPA2 support to Windows XP SP2: We had this story on May 2 because the software was already available for download; I don't know why Microsoft made a big press splash yesterday. 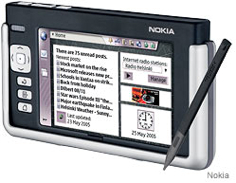 Footnoted in this article is that you can only get WPA2 support within XP SP2 and Windows CE might also get it, but no promises. Microsoft has done a truly terrible job of offering WPA and 802.1X to platforms other than XP. I understand that you can't support a platform forever, but even Windows 2000 has been left out of the parade, not to mention 98 and NT. Where basic security issues are at stake, it's not a major engineering marvel to just release unsupported backwards compatible software. It's been left to third parties to pick up the slack; some have released free tools for other platforms and others charge a small fee (about $40) for full 802.1X and WPA support. Nextel launches a very boring service, surprising given Sprint PCS's latest footprint: Nextel will be part of Sprint PCS sometime soon, so it's a very strange thing to hear today that they have announced a very tedious and overpriced hotspot offering: $40 per month buys you unlimited usage of Boingo and Wayport locations, 7,000 in total. Since Boingo already resells Wayport locations, one would assume this deal separately brings other Wayport locations to the table, but it doesn't seem to be the case. This is completely uninteresting and overpriced. Update: There is something interesting about this after all. Nextel, unlike Sprint and Cingular, contracted with Wayport to resell access to guest room service, hence Nextel's higher monthly rate. Wayport typically resells just access to public and common areas of hotels alongside their broader Wi-Fi offerings in airports and other locations. It's vitally important, then, when you sign up for aggregated reseller access to make sure that hotel guest rooms are included in the monthly fee. Shawano, Wisconsin: The municipal utilities of this town will install service across 2 1/4 square miles at a cost of $160,000 this summer. The primary purpose is public safety, but the town may offer wholesale access to ISPs who want to resell to retail customers. Kalamazoo, Michigan: ICOA unwires the airport in Kalamazoo/Battle Creek, which serves 500,000 passengers a year (counting both directions). FatPort's relatively small footprint in Canada has always benefited from roaming: FatPort was an early roamer especially with similarly sized networks, giving Canadians a good reason to subscribe to them for local use in B.C. and elsewhere and for international use, too. This NetNearU roaming relationship extends their network by 1,000 more locations. It's a bilateral deal, giving NetNearU network partners access to 300 FatPort locations. Inaugurating a New Feature: Who's Hot Today? Every day brings several press releases about new free and fee hotspots, zones, and towns: There are plans, there are deployments, there are practically circuses with Wi-Fi elephants in most cities around the U.S. Every day brings a small barrage of press releases and newspaper articles. In the spirit of completeness and without listing every single news story as a separate item, I'll try to run Who's Hot Today? each day with an updated summary as the day goes on. We'll see how it pans out. Tucson, Arizona: A free Wi-Fi zone built by the Tucson Wi-Fi Alliance and sponsored by an array of businesses with support from the local university and parts of city government kicks off May 23. Cupertino, California: MetroFi charges $19.95 per month for 1 Mbps down, 256 Kbps up (hey, finally some demonstrable Wi-Fi speeds around the level I believe are plausible!) with no ISP service behind it. The idea is to provide naked final mile Wi-Fi. They also wholesale to ISPs who can bundle. They reach 75 percent of Cupertino homes. The service launched in Santa Clara. Boingo Wireless subscribers can roam to Connexion by Boeing: The aggregator has hooked up with the in-flight broadband provider, offering a free connection during a flight for those new subscribers who commit to three months of service. This is worth up to $30 on the longest flight. Boingo doesn't say what the rate for regular service will be, but because it's not mentioned in the release or on their site, it's likely that they're charging rack rate (which varies based on flight duration) and just allowing you a simple single logon, single bill option. Update: They'll take $1 off the Connexion rate if you're a Boingo subscriber. Boingo just changed its subscriber deal, too: they used to offer the first month free; now it's the second month free. Which is a clever twist. Read the full Mother Jones article on municipal broadband (enter code MJZL6Y to read full article): The fine folks at Mother Jones sent me an access code and permission to post it so you can read the full article they published in this month's issue about the Tri-Cities, Illinois, battle with SBC and Comcast on one side and the city's business-backed goals of providing municipal broadband on the other. Interestingly, the Tri-Cities now have substantially greater broadband services: the two incumbents spent hundreds of thousands to defeat two ballot initiatives, and then probably tens of millions to upgrade their networks. At some point, they'll be too many to mention, but PublicVPN.com is the newest member of the club: PublicVPN.com has launched to offer virtual private networking to all comers for a fee, offering the sort of service that information technology departments provide to mobile corporate workers. PublicVPN.com positions itself among several competitors by offering no custom client and using plain PPTP and IPsec flavors of VPN. Its competitors include HotSpotVPN.com (standard PPTP and SSL VPN with a client), WiTopia.net (SSL VPN with a client), and JiWire's SpotLock (IPsec using a client). PublicVPN.com is $5.95 per month or $59.95 per year. Nintendo DS users will have access to a free national Wi-Fi network in Japan: The head of Nintendo said the company will build 1,000 hotspots and will charge nothing for access. Third parties might charge for access to certain games or features they offer. This is a fascinating idea: would Starbucks open their network for game-only use to encourage on-site caffeine consumption by players? AnchorFree opens big gay Wi-Fi zone: This is a lovely and silly press release that connects a free Wi-Fi zone that the company is sponsoring and operating along famed Castro Street in San Francisco with the gay and lesbian community there. Castro Street isn't Disneyland, but it's an example of how any group can take a neighborhood, make it theirs, and make it, well, fabulous. The addition of free Wi-Fi just ups that fabulousness. Of course, because this is a big gay Wi-Fi zone, some narrow-minded thinkers may ask that these kinds of zones be identified with a pink Wi-Fi symbol to help them avoid getting the gay from their Wi-Fi. The first fruits of the Airespace acquisition produce a tracking device: The Wireless Location Appliance 2700 allows network managers to track anything with a Wi-Fi adapter in it, whether the adapter is part of a Wi-Fi-based RFID tracking system for high-priced assets (like hospital equipment), a laptop, or an employee with a Wi-Fi VoIP phone. In a briefing earlier this week, Cisco managers explained that assets and individuals can be tracked both over time and in real-time with thousands of devices trackable per location appliance. This would, for instance, allow a company to pinpoint when a device had moved out of a building and disappeared--allowing them to check that date and time with various security cameras. The appliance works at relatively high protocol layers and has an API that will allow it to be integrated into other systems that already handle the front end of asset management, such as PanGo Locator offered by PanGo Networks. With companies already tracking assets by number in these systems, tying them into a real-time display can allow hospitals--and early and obvious market--to know precisely where equipment is before it's needed. Cisco acquired Airespace mere weeks ago and this is the first fruit of collaborative labor between existing Cisco product teams and the upstarts with their fancy lightweight access points. Read the rest of the story at WiMax Networking News. JiWire has released a public beta of its latest software package: offline hotspot finder, Wi-Fi profile manager, and VPN client: JiWire and Wi-Fi Networking News have an editorial and advertising partnership, so I won't pretend to be unbiased here. You'll note under category below that "self-promotion" is one of the items checked. Nonetheless, I like SpotLock, their new free software package. Windows XP even with Service Pack 2 is a bit frustrating to use for managing connections to Wi-Fi networks when you work in many different places with the same machine. SP2 is a big improvement over prior releases, of course, but SpotLock offers the kind of granularity and configuration control that one would hope Microsoft could have baked in. SpotLock handles WEP, WEP + 802.1X, and WPA-Personal, but doesn't yet have WPA + 802.1X (WPA-Enterprise) support, which should only affect a very small number of users who would use WPA-Enterprise but not have VPN support. SpotLock also incorporates JiWire's hotspot directory, putting the database on your Windows machine. The directory can be updated when you're online and used without an Internet connection. There's a button that lets you restrict results to free locations. The VPN client uses IPsec, a method that's harder to implement but is more secure that PPTP. By contrast, newer VPN-for-rent services have switched to SSL-based VPNs that tunnel all traffic but use encryption as strong as that found IPsec. The software is free to use and the VPN client is enabled for a trial period. After that point, it costs $4.95 per month for $49.95 per year. Apparently, March's FCC decision has promoted more convergence on UWB standards than thought: John Markoff files an interesting story that I had to read a few times because I thought it was at odds with what's been happening in the big split in developing a ultrawideband standard with Intel and its cohorts on one side and Motorola on the other. Rather, it's a little insight into a shift in bringing UWB to market. Motorola represents the "classic" approach to UWB as originally developed by the folks at what is now Freescale (a Motorola spinoff that includes the acquired XtremeSpectrum firm); Intel and its partners have an OFDM variant that the FCC upgraded from tolerated under a waiver to approved in March. Still, this article backs up what I heard was happening in the IEEE 802.15.3a task group that had its mission of settling a personal area networking standard using UWB. An inability to reach supermajority led to Intel and others moving forward aggressively with Wireless USB and at the WiMedia Alliance. But Intel et al. didn't withdraw from the task group and it continues to meet; the next meeting is May 15 to 20 in Australia. The agenda shows that at 11.21 a.m. on May 16 (yes, these are engineers) there will be a panel discussion on compromise that could extend to a total of over three hours that day. This article doesn't have any quotes from any of the major players, only from analysts and those around the periphery which lends credence to the notion that something big is happening and everyone is keeping their mouths shut. When I've written about UWB and 802.15.3a, I could barely slow down the trash talking from members of the two major camps. Markoff notes that Motorola's UWB Forum has 100 members, but they're mostly academic institutions and smaller firms with a few exceptions. Intel is part of the WiMedia Alliance, among other UWB groups, which has a blue-chip list of top-line "promoter" members including Microsoft, Kodak, Philips, Sony, HP, and others. It's still mostly Motorola (and its FreeScale and MeshNetworks connected partners) versus the world. Bluetooth has just pulled the rabbit out of the hat: Instead of thudding its way to an inevitable spiral of obsolescence that would mean less and less interest, support, and embedded devices, the Bluetooth SIG will work with ultrawideband (UWB) vendors to ensure backwards compatibility with their spec. This is a brilliant move, of course, because it helps both Bluetooth and UWB vendors in three ways. First, including Bluetooth 2.0+EDR in near-term product plans suddenly makes sense because the devices will continue to work with laptops and other equipment that are issued in the not-too-distant future. Second, it re-emphasizes the notion of including Bluetooth alongside Wi-Fi as a built-in element. Third, it gives the UWB vendors an upgrade path, making their products less disruptive technology than evolutionary technology. The Bluetooth SIG has support from both major UWB linchpins, Intel and Motorola, but specific details and relationships with the UWB alliances hasn't been sorted out yet. Windows XP SP2 Talks WPA2, WPS: Microsoft released this update in the last day or so that adds built-in WPA2 support, including support fro AES via CCMP keys, certain forms of caching, and pre-authentication. It also adds support for WPS IE, a way to pass provisioning information to a client at a public wireless hotspot. Atheros has taken its simplified scheme to set encryption keys into the open-source world: JumpStart lets multiple devices obtain a WPA encryption key of sufficient length and complexity to defeat crackers without that key being re-entered on each machine. Instead a secure key exchange is signed by a short password that can be used. JumpStart solves a well-documented problem of weak passphrase choice in WPA in which a short, not very complicated, but perfectly legal passphrase (like "spaghetti") is used to derive the WPA master key. In JumpStart, a complex key is secured using Diffie-Hellman in such a way that a very simple password protects the transaction in a very strongly encrypted fashion. This allows compensation for the WPA key choice problem. Atheros is putting JumpStart into open-source development but reserving its trademark to those that apply and pass interoperability testing. Atheros already allows limited access to its Wi-Fi chips through the independent madwifi project. I can only think that the results of allowing that openness make them think that an open-source project was a valid approach. One highly useful part of open source is that the licensing is much simpler. There's still a copyright license and terms, but they're part of the package you obtain. You don't have to put legal time and money into signing contracts with every party. Everyone accepts the same license agreement. Update: The project is hosted at jumpstart-wireless.sourceforge.net and is now live. Mother Jones magazine looks into the push polls and heavy spending in Illinois that defeated a municipal network: The article, outlined by Esme Vos over at Muniwireless.com, walks through how SBC and Comcast tried to scare local voters who then thinly voted against a broadband initiative. 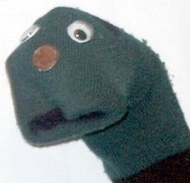 It apparently also delves into the politics of The Heartland Institute and its sock puppetry. "Case got Bast to admit that he never studied enough cases to show that most municipal networks operate at a loss," Esme writes. As I wrote about extensively and have continued to show, most of the case studies that Heartland used are derived from a Beacon Hill Institute report that relied on out of date information and misinterpreted details. Ashland, Oregon, appears to be the only network actually running in the red, while the others cited are doing quite nicely, especially Tacoma Power's Click! Network. Craig Plunkett of CEDX is profiled again: Craig is a fine Wi-Fi and networking entrepreneur out in the wilds of Fire Island, Long Island, and the island of Manhattan bringing hotspots and point-to-point service to those who want it. Plunkett's firm is one of two behind Wi-RAN, wireless rolling area network, that's put Internet access into the Hampton Jitney. He's been getting trade press lately for his disparate but related interests. The profile runs through Plunkett's small empire and addresses his obsession--one we talk about through email regularly--of getting Wi-Fi-based Internet access relayed through cellular or other networks on the MTA (Metro North and the LIRR). Meru Networks has announced its multi-radio omnidirectional Wi-Fi switch: It took me a while in a briefing last week to understand Meru's approach, but I get it now. Meru puts four, eight, or 12 radios in a single switch which is deployed in zones around an office. Instead of using centralized network intelligence to manage the RF characteristics of their APs, they put many radios in a single box and don't deal with trying to avoid co-channel interference at all. They can use combinations of 802.11a channels and three 802.11b nonoverlapping channels or go all 802.11a. When you deploy Meru equipment, each switch runs multiple channels at once using omnidirectional antennas. Zones touch other zones and the switch decides which clients are allowed to join which channel based on load. All radios on the same channel use a virtual MAC address that prevents a client from deciding which radio to switch to. Instead, the switch decides which clients are on which channels. The value of this is that clients don't have to hop from channel to channel at zone interstices nor does the RF intelligence have to manage power in the same way that a network of APs operating on non-overlapping channels across coverage zones do. A denser standard network involves adding more access points in given areas on non-overlapping channels to create more effective bandwidth. A denser Meru network involves creating more cells using their switches at the center. Meru's approach is part of a new trend which Extricom and Xirrus are part of in which the switch is out in the office instead of in the server room, and Layer 2 decisions are made at the switch itself, reducing bottlenecks. Authentication and other Layer 3 issues are tunneled back to server rooms. Putting switches out in the office means that you have to have service-level agreements that can cope with the failure of a device that might be serving 100s of users and be the only coverage for a given area. The integrators that resell this equipment have to meet the enterprise need. For instance, Meru doesn't have redundant, hot failover power supplies on their switches, which is common for server-room devices. A plethora of municipal broadband news, as seems to be increasingly typical: Let me run you through the latest stories. Now this might be a little churlish: why no major operators? Did they say no? : The Philadelphia Inquirer reports that the upcoming Digital Cities Convention in the city in which liberty was forged runs today through Wednesday, but doesn't include any of the incumbents who have been fighting municipal broadband. It's a curious omission but they may have said, no, thanks. San Francisco gets more free hotspots paid for by AnchorFree: The company has found a great PR vehicle for gaining attention while providing a service for free through its SF hotzones. (Note to self: It's not Frisco, but "ess eff.") While the city of seven hills considers whether to build its own network, the legislature considers blocking publicly funded Wi-Fi networks. The article notes that MetroFi, a private firm, has managed to build networks that span Santa Clara and Cupertino with Mountain View and Sunnyvale to follow. (Any users out there? How's the service?) The article quotes David McClure of the US Internet Industry Association. I have found that I like a fair amount of what he says about implementation, but not about public policy. The association doesn't disclosure membership (only founding members) nor funding. Verizon is on its board. McClure notes that taxpayers shouldn't bear financial risk for municipal networks; the latest city proposals take note of that and offset risk to private or non-profit entities. Texas Senate to review municipal broadband bill...eventually: The bill approved with one "nay" vote in the house offered a lot of sops to those who complained about its total ban on municipal networks--a ban that would have probably led to airports dropping Wi-Fi service (but not cellular contracts, which would still have been allowed). The Senate might allow competition over municipal power lines. Senate hearings haven't been scheduled. Dallas wants to bring free hotspot zones online that are primarily focused on public safety and secondarily offer outdoor-only Wi-Fi service. Down the road a piece from the State House in Austin, Michael Dell is backing municipal broadband: Dell knows that the bill is apparently lobbying directly to legislators. Leading pro-municipal advocate Adina Levin says in the article that the currently approved House Bill would damage Texas businesses' ability to compete. A spokesperson for the cable association in Texas says, "We're concerned about using taxpayer money to compete with private businesses." I would still like to see an accounting of taxpayer dollars paid to cable and telco firms as well as tax relief given them to build their networks. This statement also ignores the variety of models that have emerged to avoid using taxpayer money. iPass says they have 20,092 hotspots in 51 countries: The enterprise mobile worker connectivity firm has been aggressively courting operators around the world to amass this portfolio which includes 55 networks. Sprint PCS now claims over 19,000 hotspots in their fixed-fee network, and it would be interested to do a side-by-side comparison--but also quite difficult. iPass uses metered rates for hotspot, dial-up, ISDN, and wired access for its customers which allow corporations to use a single network login both within their enterprise and with the iPass Connect client software. Instead of each user paying a fee for unlimited access on a number of networks, iPass aggregates not just networks but usage. So a worker who is on the road a few days a month may average out the usage of a worker who is constantly on the road. From a cost containment standpoint, this approach appears to be one that enterprises like. But it requires scale of locations especially for international companies or those with international sales. Sprint PCS aggregates locations from SBC, Boingo, AirPath, Wayport, STSN, and other, but the majority of their locations are domestic. They offer unlimited usage plans for businesses on a per-user basis that can include metered rates for dial-up. They also offer a client. Sprint PCS works extensively with enterprises, too, in some cases building their networks through a managed services division. I would not have thought a few weeks ago that the battle for corporate hotspot pocketbooks would be fought between iPass and Sprint PCS. But here we are. Sprint PCS is in the middle of a large transition as a carrier with its Nextel merger in the works; iPass is a publicly traded firm that once had a stock price five times higher than today and market cap of well over a billion dollars. Moving into competition with Sprint PCS may not be a bad thing for iPass at all; it's good company.